A fender support for those with earlier frames that don’t have built in supports (confirmed chassis #44 needs these, don’t know cutoff point). 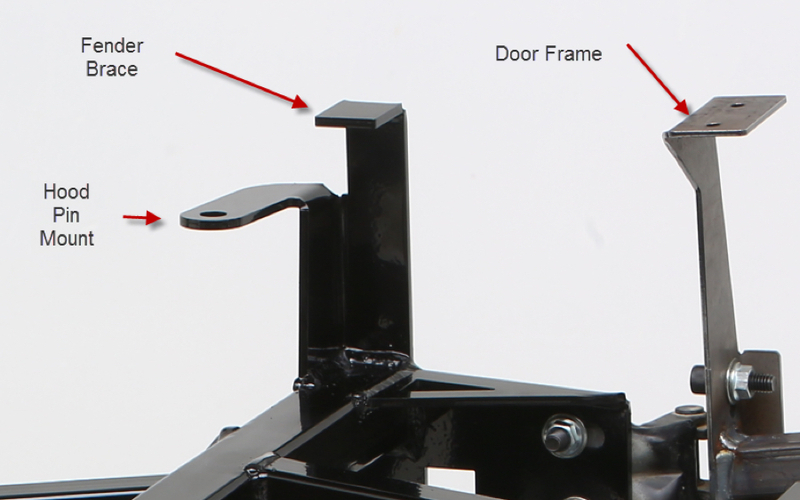 FFR has three different variations on the portion of the frame that supports the hood pins near the windshield. The third version has properly located hood pin mounts and a little bracket to bolt the fender to (you don’t need this product). The first and second version don’t have anything to support the fender. It only gets supported at the front bumper and on the bottom by the sideskirt. The top is unsupported. 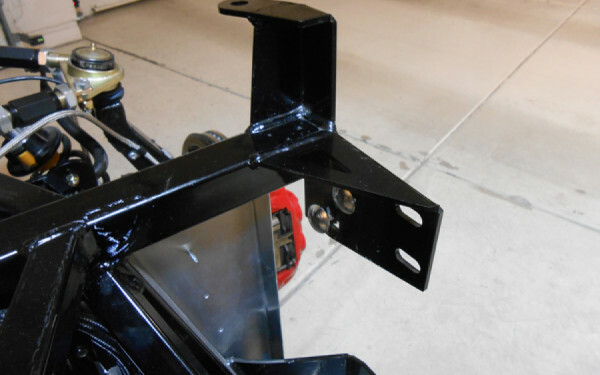 This lets you hard mount the fender and keep nice panel gaps and prevent excessive vibration. Type 1’s also have a separate hood pin mounting plate supplied by FFR. These supports bolt to the frame and tuck under the fender. 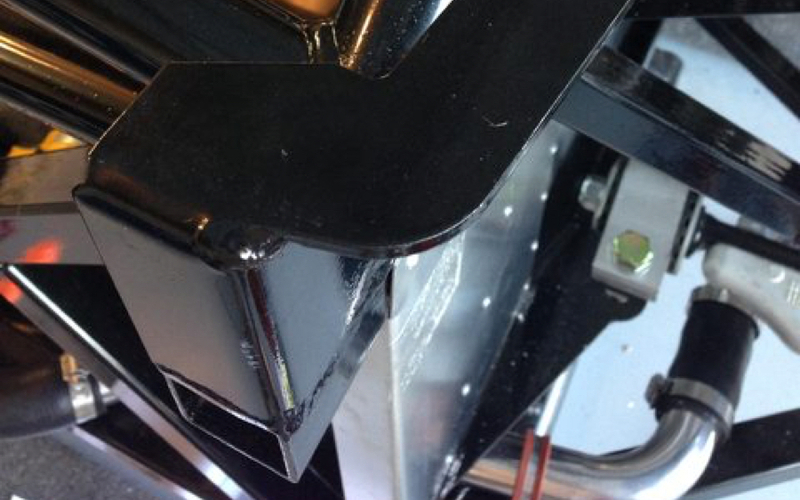 Two small screws at the top secure the lip of the fender to the flat surface (hidden by the hood when installed). Cheapest is the $5.80 flat rate box. 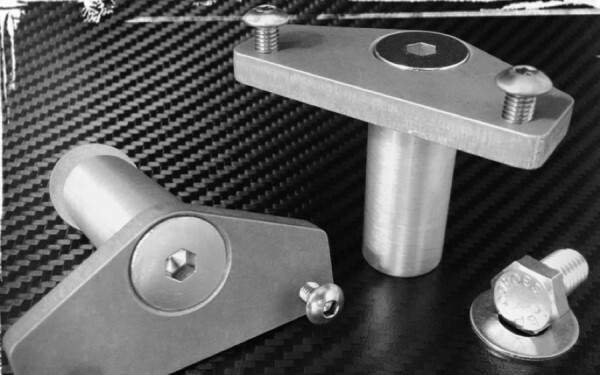 The coolant bracket, ABS plates, the radiator plate brackets, and these can all fit in one flate rate box (save on shipping). I need to know what kind of frame you have. Type 1 and type 2 have slightly different standoffs. Type 3’s don’t need this (as much as I’d love for you to just send me money, I’d feel bad selling you things you don’t need).